It’s been a while since we ran a First Spin Monologues on the website–then again, it has been a while since the website has been as active with new posts and content as it has been of late. The feature was always meant to be reserved for special bands who mean a lot to us, where we wanted to be the ones who shared their music with you for the first time. 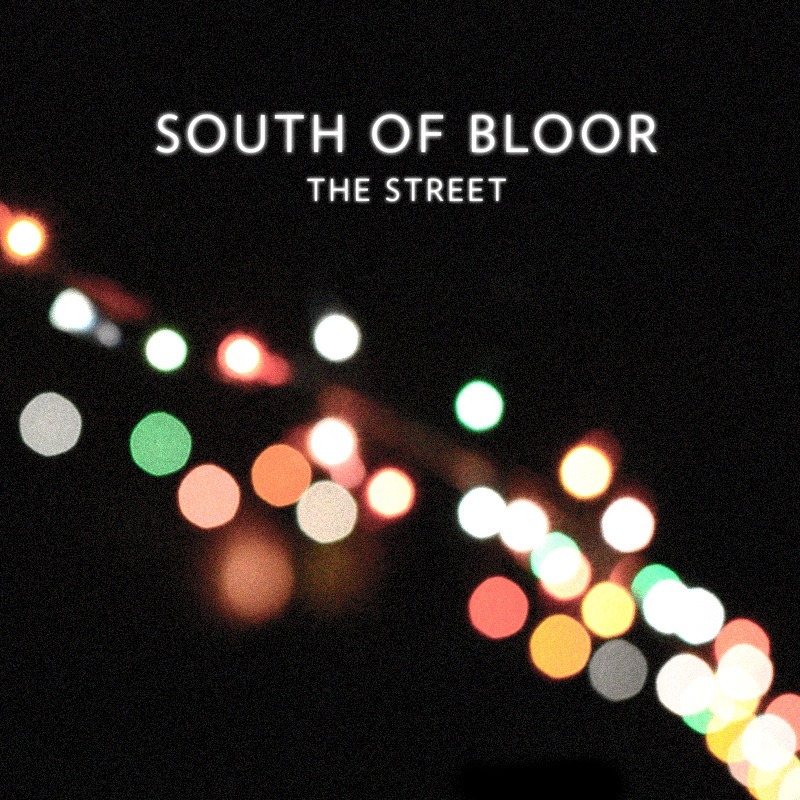 South of Bloor is one of those bands, and we can’t wait for you to hear/stream The Street exclusively and for the first time on Two Way Monologues. First, the backstory. South of Bloor entered the life of Two Way Monologues in two different ways, at more or less the same time. South of Bloor were long-time favourites of GreenShades, and regularly played their earlier Thursday night showcases at Rancho. Hearing Antony and Blake speak about them, you could tell there were few bands in Toronto they were as excited about. At the same time, they befriended Chris Sampson (sound tech extraordinaire) and he went to work recording their first record. With some of my best friends involved with the band I would hear a lot about them and get to see them live quite regularly–and there was no denying South of Bloor were a good band, but I was always of the mind that something was missing. But in the months just before my move I came to realize that if they were missing something before, that problem was now long gone. The band played my all-time favourite Wreckage Vinyl Party and our debut show at the Handlebar, both of which were fantastic. Their live energy really captivated the audience and the set seemed more diverse and challenging then before–but with all acts you always have to wonder would it translate to record. It is the opinion of Two Way Monologues that this is a stellar representation of how far South of Bloor has come, and very much a record that should announce to the Canadian music community that they are ready to take the next step–whatever it might be. The Street is a five-song EP–it only takes about 16 minutes of your time to listen to it, but you should definitely give the album several spins so that it can really sink its addictive fangs into you. The first impression you are likely to get is “Hey, this record is quality indie-pop tinged with hints of emo.” But the more you listen, the more the intricacies of the record–and why the guys took so much time recording and fine tuning it–start to come out. More than anything, what stands out is the precision of the vocals, which in my personal opinion are recorded and delivered perfectly. You probably aren’t going to hear a better example of that than on album opener “Take Me In”–which does exactly that and doesn’t let you go for the next 16 minutes. The album closes with “40 Lands” which brings as much or more energy than any other part of the album. I like the way the album starts with a banger and ends with one as well. I feel like this is just the tip of the musical iceberg for South of Bloor, and for the record to leave the listener wanting more is very fitting. If you like your music to be based in an indie-pop/indie-rock style while still challenging you from that framework with cool songwriting and unique influences, then South of Bloor’s record The Street is something you absolutely should check out. Stream it here on the site, and then make plans to go and see them live on the 18th of January at the Horseshoe Tavern w/ Trevor James and the Perfect Gentlemen, Brothers of North, and Patrick Grant and the Flesh Vignettes–brought to you by TWM!